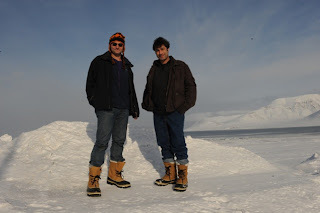 This photo gives an idea of the sole thickness of arctic boots... We never got cold feet at the pole! Alexandre Laurent (right), our Youth Ambassador (16) and I – at the North Pole – holding a flag in celebration of Mikhail Gorbachev 80th Birthday (March 2)! 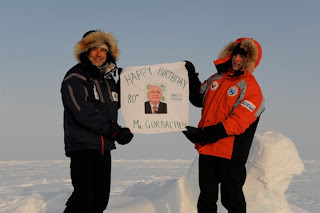 Mikhail Gorbachev is founder and honorary chairman of Green Cross International, partner of our Pax Arctica North Pole 2011 expedition. Today an An-72 airplane from the fleet of the Federal Security Service (FSB) arrived at Barneo. It brought the members and leaders of the 4th "Ski to the North Pole!" Youth Expedition. In December 2010 the Adventure Club held a contest to select participants. The seven lucky winners, aged 15 to 18, came to the Arctic to receive their prize: an opportunity to make a 100-km ski trek to the North Pole, accompanied by famous adventurers Matvei Shparo and Boris Smolin. Their guides are Roman Ponomarev and Ivan Dubov. This is what the North Pole looks like! 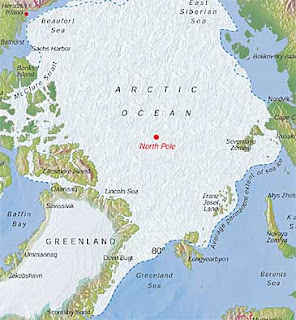 Here we are meters from the geographic North Pole, on ever shifting ice. We detach our pulkas to ease the final search. April 16 – On our way back from Barneo, meeting a few friends at Longyearbyen airport, waiting for their turn to go to the North Pole (they will take the same Antonov plane we landed with): Michel Rocard, ex-Prime Minister of France and now Ambassador for the Poles (he was signatory of the Antarctic Treaty and is a key player in the protection of the Arctic), Laurent Mayet (his advisor), both invited to the North Pole by the Russians. 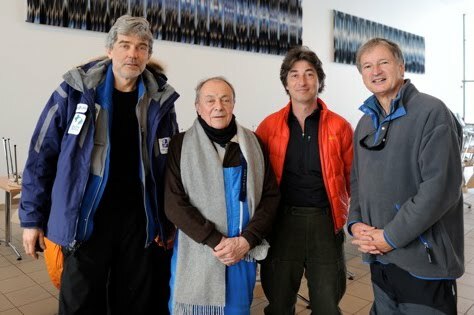 Also got a chance to chat with Jean-Bernard Schmidt (fellow venture capitalist and adventurer - at right on photo), who could not be part of our earlier expedition but will now join Ben, our guide extraordinaire, in Barneo for his own turn at reaching the pole (with friend Patrick de Giovanni). We arrived back in Barneo last night expecting to set up our tents for one last night in the cold but to our surprise there was room available in one of the big heated airstrip tents. The luxury of heat made us almost delirious but the truth is none of us slept very well. 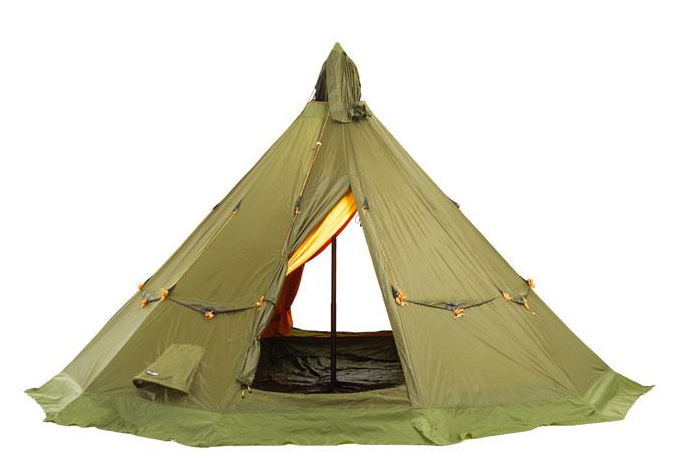 After so many nights sleeping in the intense and humid cold our bodies just could not get used to the overheated tent. We had been so happy to reach the North Pole that we spent too much time with our gloves off taking photos, video, etc. 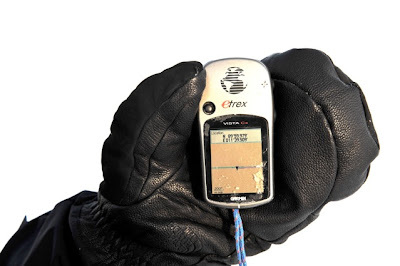 Unfortunately we all suffered from minor frost bite and the sudden exposure to the heat in the tent made our fingers swell up. 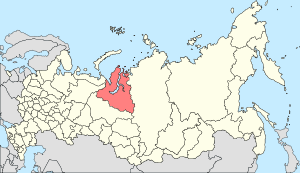 Just after we updated the blog yesterday a helicopter arrived with a surprise guest; a couple of government officials from a region in Northeastern Siberia called YAMALO-NENETS. They came to the North Pole for a dedication ceremony and asked us to join them for salted dry fish, hot wine and vodka. Life is full of the most unexpected surprises. After the celebration they invited us to share their helicopter for the return trip to Barneo. Another surprise happened when we walked into tent last night. I saw a women in the distance checking her equipment. As we approached she looked up and I realized it was our good friend Wendy Booker who Mary and I climbed Mt. Washington with about 10 years ago. Wendy is leaving tomorrow on the One Degree Dog Sled Expedition. She has an amazing and inspiring story, worth taking the time to read. I will start posting photos in the next couple of days but for now we are just hanging out, exchanging with scientists and enjoying our last day on the ice. We've arrived! Earlier than planned because the drifting of the ice was favorable and generally moved us in the right direction. With the ice in constant movement - the North Pole is fleeting - but standing with the GPS in hand I see 90˚00.000' showing up on the display, but briefly, as the ice is shifting 1meter every 10 seconds. The only picture of the GPS I can take is 89º59.979'. I'll settle for that. close enough! The emotions are strong, we are very happy but it's almost too cold to celebrate. We are waiting for the helicopter to arrive to take us back to Barneo. Russian logistics insist on picking us up today. So even if we will not be spending the night at the pole (in fact meaning 'around the pole'), for now at least we are standing on top of the world! We walked 17 km today and the floating ice carried us 2 additional km closer to our goal. The weather conditions are great. The sky is blue, hardly any clouds and very little wind. The elements are so strong that between the sun, the dry air and the wind your skin really takes a beating. In typical hiker fashion, I bartered a quarter of a roll of toilet paper for the use of a second mat to put under my sleeping bag (to a team member who will remain anonymous). Everything you see for 360˚ is white (although nuances and shapes exist). Although you hear the ice crack, there is very little other sound. So far we have seen no wildlife, it's just the 6 of us! The terrain is becoming very rugged. The compressions ridges are one after the other which makes the going very slow. The challenge is not climbing over, it's keeping your pulka upright behind you. At this moment we are 17 km from the pole. With a little luck we will float even closer to it while we sleep. We encountered our first “ice lead” today and it was cutting right across our route to the North Pole. 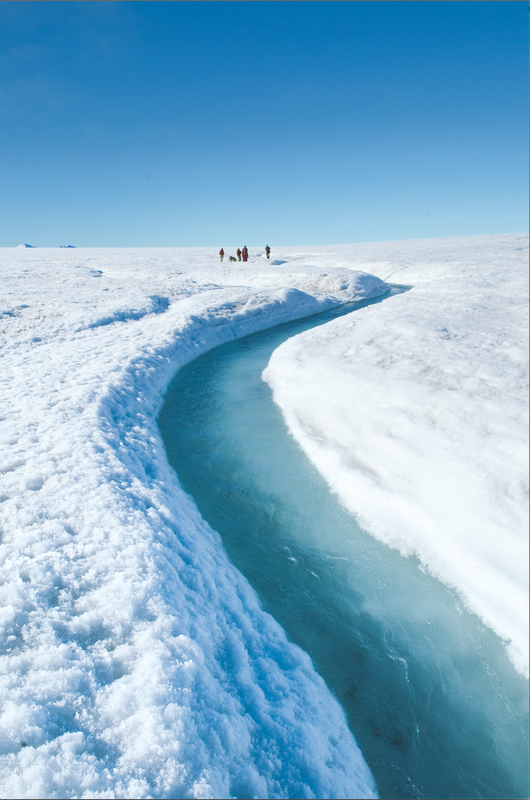 Leads are caused by movements of the ice due to wind, or to currents in the underlying water and, may open and close again within a brief period. They are beautiful because of their deep blue/black color, but they are also very dangerous obstacles because you never know if there is solid ice below. Ben tested it with his poles and decided that crossing at this location was not worth the risk. 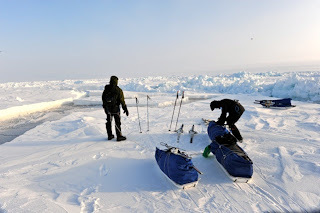 We walked further along the ice lead until we came to an area of open water. Tying two pulka's together we used them as bridges to cross the water. Unfortunately Ben's boot and ski got wet, so the boot froze to the ski and Ben's foot froze in the boot - he is fine now but suffered for the last couple of hours of the trek. Alexandre pitched right-in, taking over many of the duties of setting up camp. We covered 18 km and our location tonight is 89˚40'. The temperature is about -25/27˚C. I am sharing the mess tent with Ben and those of you that know me well can understand why I feel right at home. It's a Helsport TIPI Tent! Met Andreas (Andy) Heiberg of Polar Science Center / Applied Physics Laboratory - University of Washington (and National Science Foundation). With partner Tom and others, on his way to Barneo in the next couple of days, to install scientific equipment for a number of experiments. 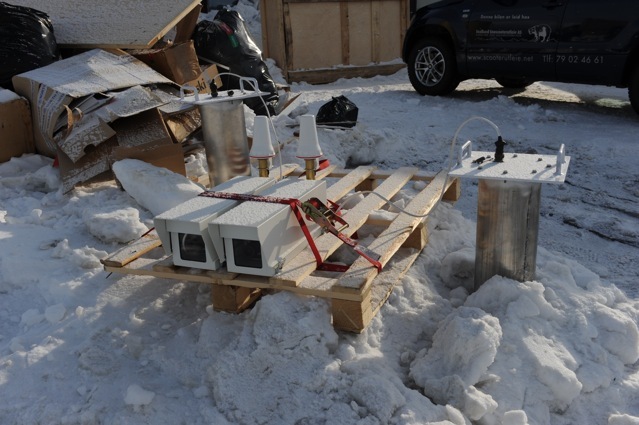 Also these two webcams (left) will be installed near Barneo to check local equipment and to monitor weather and sea ice changes (one photo every hour). 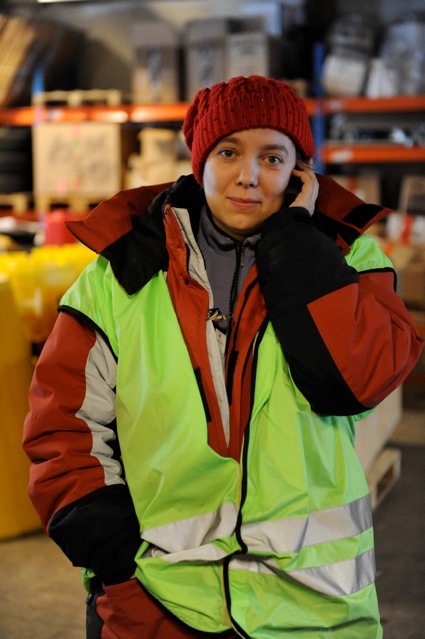 Margarita (Russian), Longyearbyen coordinator for Barneo Ice Station. A tough job in this very busy season. Not much to do today as we are waiting for the Antonov plane to take us to Barneo tomorrow morning. Departure planned at 9am. we'll see... As always the Arctic is unpredictable. I went back with Ben to the hangar at the airport to check ou rpulkas, tents, and Ben made sure the checklist is... checked! Prince Harry who was trekking across the Arctic with four disabled servicemen, was stranded after the cracks had formed in an ice runway. All flights out of Borneo Ice Airfield were cancelled while the runway was being rebuilt. The prince had been due to fly home on Thursday, but Clarence House stated that it can be 48 hours before he could leave. The team, who were walking to the North Pole, were aiming to raise £2m for charity. 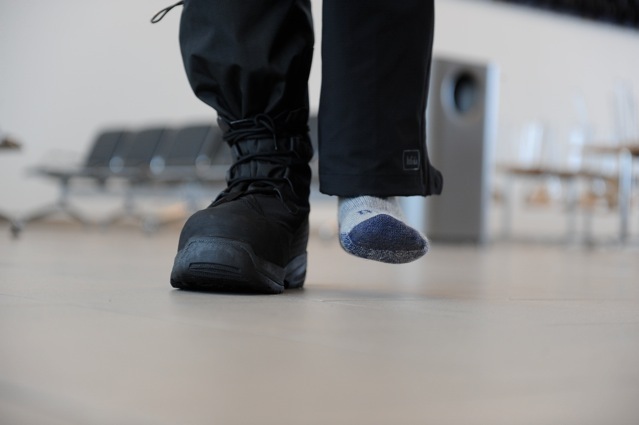 The four servicemen, who had all been injured in combat in Afghanistan, had hope to enter the record books as the first disabled team who had walked unassisted to the North Pole and raise money for Walking With The Wounded which had helped injured troops. 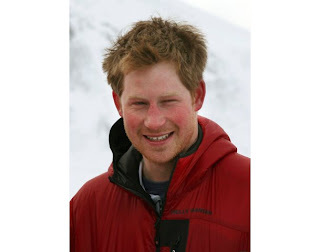 Clarence House stated that Harry will spend another day trekking with the team before he returns to the airfield on Thursday night to await the first available flight. "We guide that the delay will be less than 48 hours as it stands, but given the unpredictable nature of conditions in the Arctic, the situation may change." 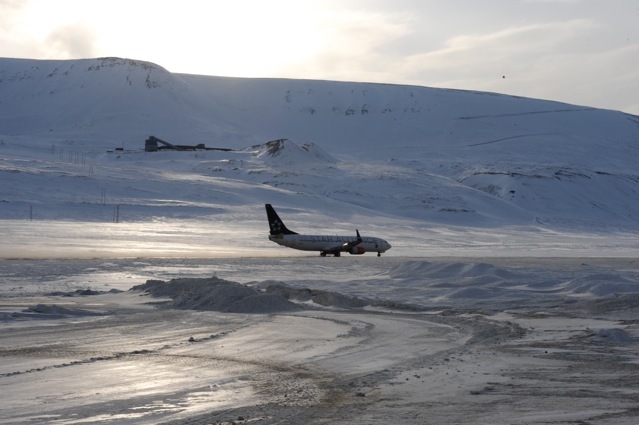 Expedition spokesman Alex Rayner stated that the airfield crews had been working round the clock in order to rebuild the runway. The four-week mission got off to a late start after the gales had delayed the team's flight to the starting point, meaning the expedition was to be slightly shortened. 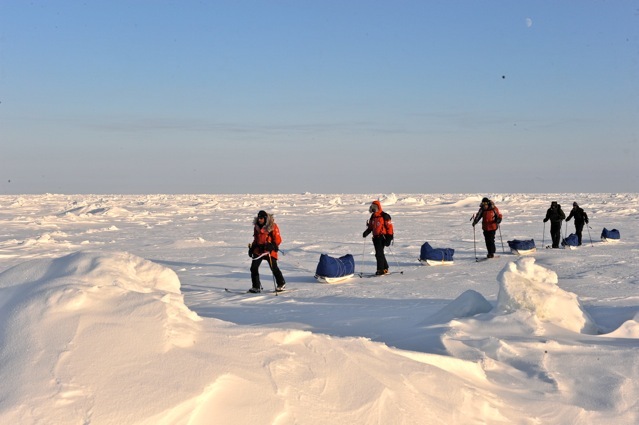 However, four days into the trek the team stated that they had been ahead of schedule after pulling their sledges 12 miles across the Arctic. Harry would return home ahead of his big brother's wedding which is at the end of the month. 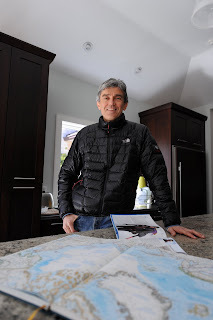 Explorer, author and venture capitalist Luc Hardy, of Cos Cob, is off on another expedition -- one of his toughest physical challenges yet -- the Pax Arctica North Pole Expedition 2011. 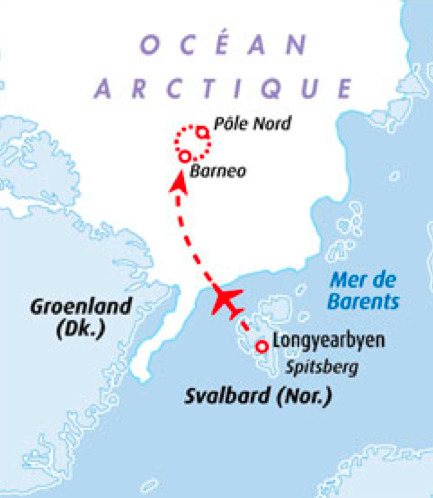 Hardy, 55, and his party of six will travel 150 miles by foot to the Pole from Barneo, the nearest Russian-operated base camp in the polar region. "We are the dogs," Hardy said. "I will be pulling an 80-kilo, or 180-pound, sled attached with a rope to my waist for 8-10 miles a day for 15 days." 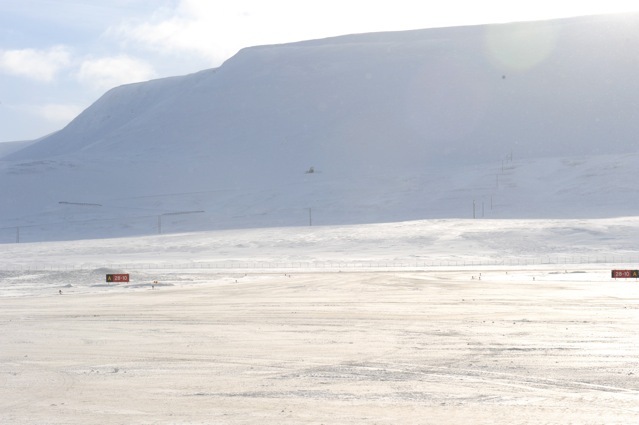 All that on skis in temperatures that can range from zero to minus 40 or 50 degrees. "The North Pole is mystical," added Hardy. "It's a romantic thing -- if you like adventure. There are few graphic markers at the Pole. There's nothing there. Everything appears almost meaningless, even though it is an important part of the world." One member of Hardy's expedition is a 16-year-old teenager from France, Alexander Laurent. "He'll be serving as a youth ambassador," said Hardy, "alerting the public about critical environmentl issues endangering the Arctic, Laurent will also likely be the youngest ever to reach the North Pole, said Hardy. "He'll be walking and pulling his sled like us -- if we make it." The group includes Laurent's father, Christophe, a couple of gung-ho New Yorkers, and is being led by a renown Polar guide, François "Ben" Bernard from Chamonix -- one of three mountaineers to have reached the summit of Mount Everest as well both the North and South Poles. "Ben has led groups for 20 seasons to the North Pole," said Hardy. They can expect some tough going. 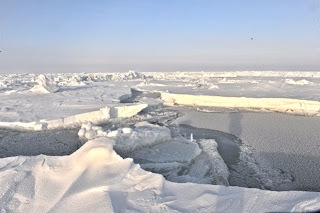 April is the month when the melting starts at the North Pole, presenting an added challenge to the expedition. 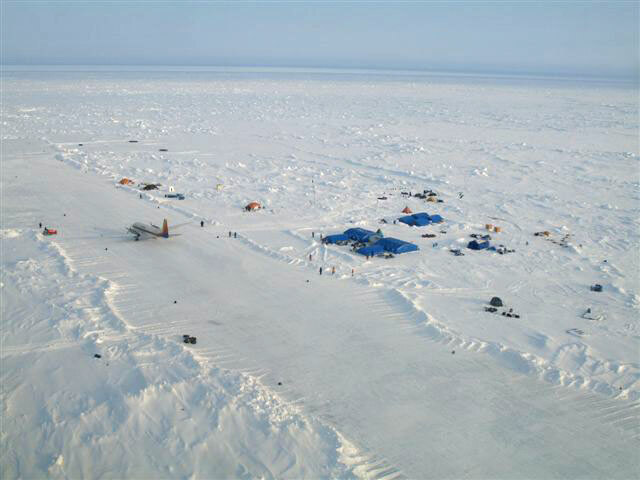 "The ice is getting thinner and thinner and you have to be careful where you walk," said Hardy. "Sometimes the ice cracks and each side pushes upward making big hips of ice we have to cross. We will go up and over with our sleds. When the ice starts to break, we will go on a raft to cross the melted ice. The ice will be floating in different directions. It could be that you find yourself where you started." 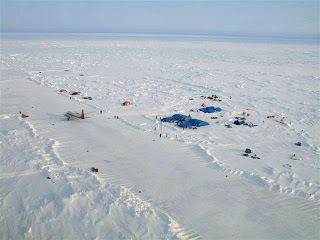 During its expedition, the group will be observing and recording changes in the region, and interacting with scientists at work in the polar region. They may be called upon to help with installing equipment, assisting in collecting water/atmospheric samples, GPS measurements, and with photography and video, said Hardy. Once the group reaches the unmarked Pole, they'll pitch their tent for one night -- it's currently daylight 24/7 -- to sleep on top of the world. Their return journey will be a bit easier. "The next day we call a Russian helicopter to pick us up," said Hardy. Hardy is no stranger to cold climates. 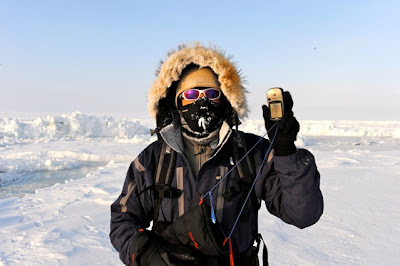 His passport reads Antarctica in 2003, Greenland in 2007, and the Arctic in 2008, with two books resulting: "Arctic Transitions" and "Greenland Impressions." He began his wanderlust, he said, in the mid 1980s with treks to Nepal and the Himalayas. 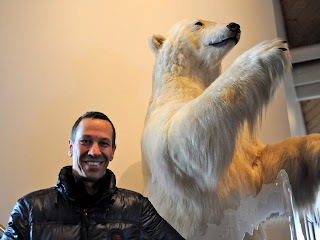 In the early 2000s he became involved in environmental causes with Jean-Michael Cousteau, the son of Jacques Cousteau, and the Green Cross International organization. 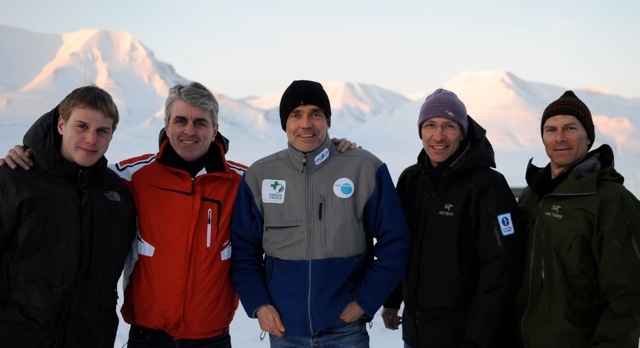 Green Cross is a partner in Hardy's current expedition, along with sponsor UFG-LFP, a Parisian asset management firm, and other "corporate and consumer brands." The balance of the trip's cost he said is coming out of the travelers' pockets. "Unfortunate," Hardy said. "But the North Pole is priceless!" 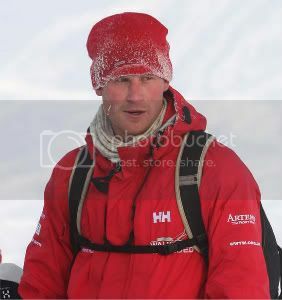 However, according to Hardy, walking expeditions to the North Pole like this one will one day no longer be an option. 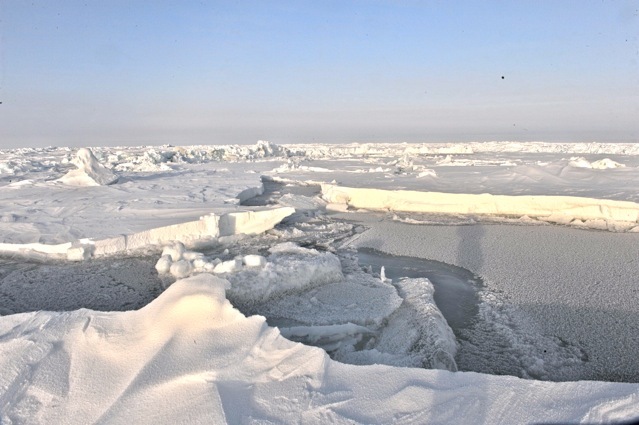 "By 2050 it is predicted the Arctic will be ice-free in summer," said Hardy. "It will be just water on the top of the world." Hardy will be blogging during his adventure. The website is: sagaxexpeditions.blogspot.com. Start checking online April 8, he said.